Norwegian Institute of Bioeconomy Research (NIBIO) is to contribute to food security and safety, sustainable resource management, innovation and value creation through research and knowledge production within food, forestry and other biobased industries. 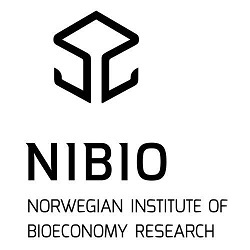 NIBIO was established on July 1, 2015 as a merger between the Norwegian Institute for Agricultural and Environmental Research (Bioforsk), the Norwegian Agricultural Economics Research Institute and the Norwegian Forest and Landscape Institute. NIBIO is owned by the Norwegian Ministry of Agriculture and Food as an administrative agency with special authorization and its own supervisory board. The main office is located at Ås near Oslo, adjacent to the main campus of the Norwegian University of Life Sciences. The Institute has regional research stations represented in all major regions in Norway. NIBIO has currently 725 employees. NIBIO conducts applied and specifically targeted research linked to multifunctional agriculture and rural development, plant sciences, environmental protection and natural resource management. NIBIO is to become the leading national centre for the development of knowledge within the field of bioeconomy. The goal of the Institute is to contribute to food security, sustainable resource management, innovation and value creation through research and knowledge production within food, forestry and other biobased industries. The Institute will deliver research, managerial support and knowledge for use in national preparedness, as well as for businesses and the society at large. International collaboration is given high priority and researchers at NIBIO have conducted many relevant studies with SMEs and plant breeders in collaborative national and international studies of plant physiology, epidemiology, climate, and plant development in a variety of crops. NIBIO has access to modern greenhouses, growth chambers, phytotrons, and other facilities for growing plants under controlled conditions, fields and plastic tunnels, and modern laboratory facilities (including chemical and molecular). Within the GoodBerry project, NIBIO identifies management practices for the optimisation and exploitation of yield potential in different environments. NIBIO is involved in the transnational studies, and both scientists of NIBIO have a leading role in investigations of interactions between genotype x environment x management practices concerning plant development and fungal diseases.